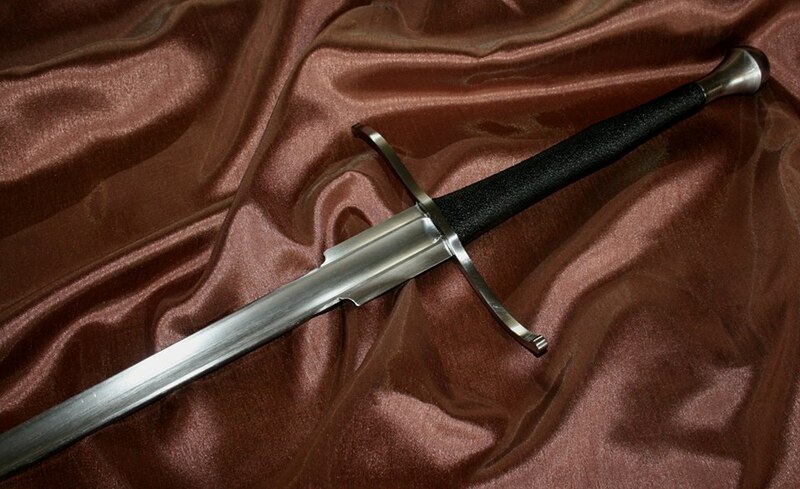 Light and durable rapier (Sidesword) with exchangeable hilt and handle. This simple design is based on Joachim Meyer “Kunst des Fechtens” rapier. 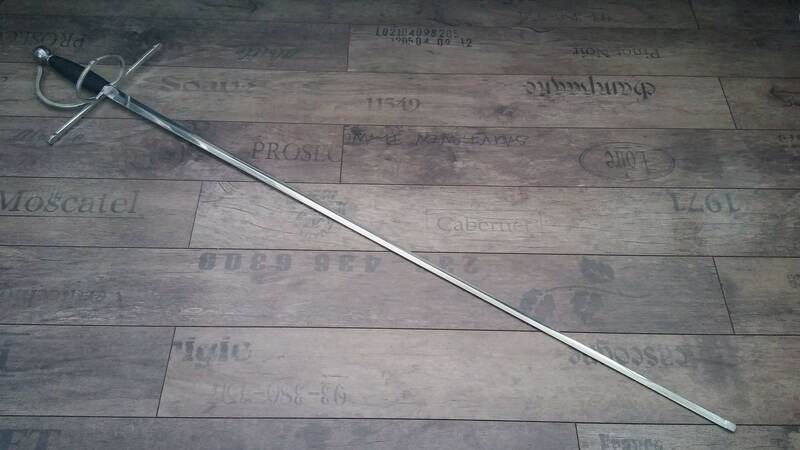 7kg – it is required to apply 7kg of weight in line of the blade in order to bend it. The blade is stiff enough to easily perform any technique that requires blade control, but flexible enough in order to use it for sparring even in light jackets.